Yesterday we showed you a picture of Dr. Hare standing in front of a giant bobcat. Never fear, because it wasn't a live one. 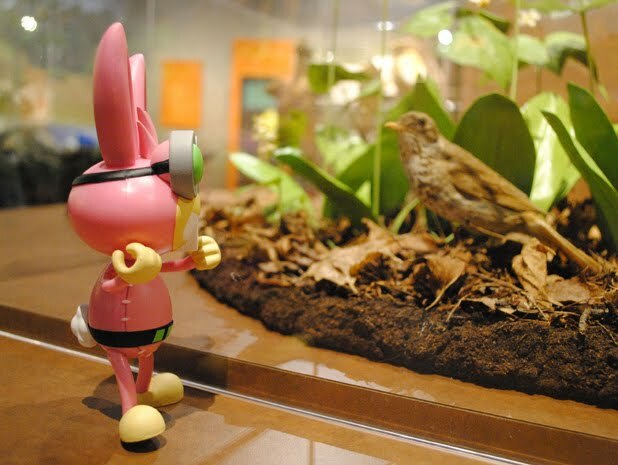 Dr. Hare was at the Harvard Museum of Natural History in Cambridge, Massachusetts. Here's another shot of Dr. Hare plotting his evil schemes. Keep an eye out, because you never know where Dr. Hare will travel to next.